Dougall Baillie were delighted to meet with Dr Lisa Cameron MP on Friday 16th of November at the local constituency office. 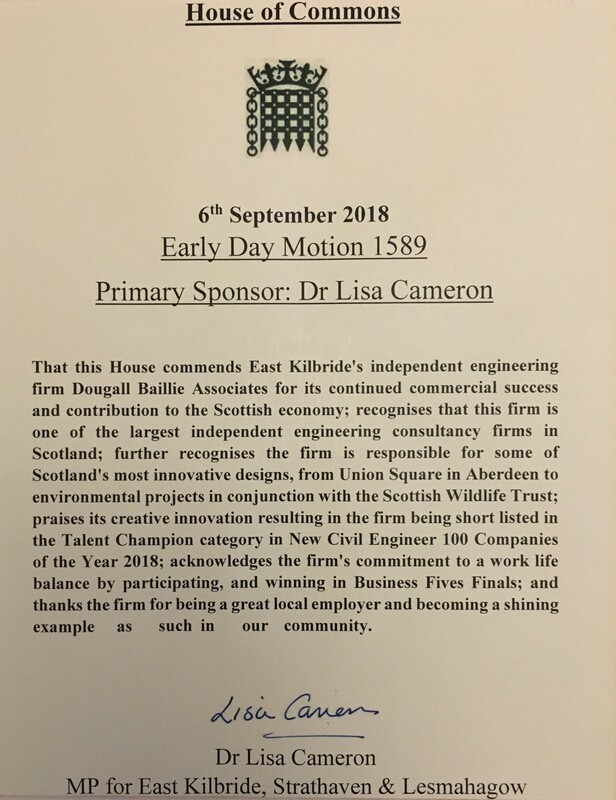 We were proud to receive formal presentation of a copy of the Early Day Motion presented in Parliament earlier this year as recognition of DBA efforts as an employer and important player in the community. Photo includes: Norman MacLean; Robin Duncan; Dr Cameron; Scott Macphail; Fergus Adams.